Happy Cyber Monday! For those of you not in the know, Cyber Monday is Black Friday for people who want to stay warm and get some sleep on the day after Thanksgiving. If you surf the web today, you might find that your favorite sites are hosting huge Christmas deals on a variety of products. CutRateCrafts is getting in on the fun and bringing you an amazing deal of a Craftwell eBosser Automatic Embosser & Die Cut Machine. 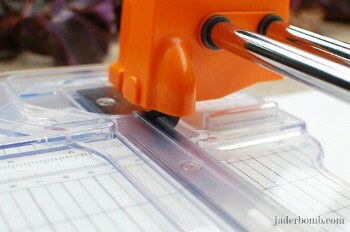 In my previous blog post, Craftwell’s eBosser Automatic Embosser & Die Cutter: Meet Your New Crafty Obsession, I explained why every crafter needs to own an eBosser. I won’t rehash all of the details here (you can check out the post for all the information), I will say this: this machine will change the way you craft. It’s an all-in-one system that will make your life easier. Don’t believe me? Consider this: the eBosser cuts through multiple layers of paper in a single pass, is compatible with most cutting brands and folders, cuts everything from wood to paper and is completely portable. 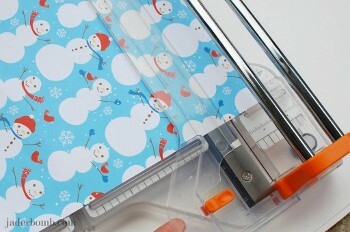 If you’re planning on making Christmas cards this year, you’ll want an eBosser close at hand. 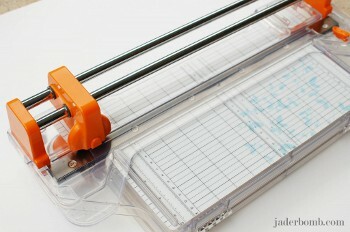 With this machine, you’ll be able to quickly and efficiently cut out shapes and borders. Plus, you’ll be able to make more cards this year since you’ll have plenty of extra time! Right now, you can score a Craftwell eBosser Automatic Embosser & Die Cut Machine for $199.99 on CutRateCrafts. Normally, this product retails for $229.00! Save yourself a trip to the store and say goodbye to crowded aisles. We’re here to make your Cyber Monday a little brighter and a lot more fun with this amazing deal. Just make sure you act fast – this deal won’t last for much longer. If you want to get crafty, there’s no better material to work with than paper. Cardmaking, scrapbooking – all of these activities are extremely popular right now. In fact, many of the companies at this year’s Craft & Hobby Association Summer Trade Show devoted their booths exclusively to paper products. While paper crafting is a fun way to get creative, it can also lead to cramped fingers, strained eyes and other annoyances. The main culprit? Scissors! Cutting tiny, uniform shapes is anything but easy and can make the crafting experience less enjoyable. Luckily, we’re bringing you a brand new die cut machine that will change the way you crafts. The Craftwell eBosser Automatic Embosser & Die Cut Machine is a one-step system that cuts through multiple layers of paper in a single pass. Now you can easily create paper bunting, scrapbook shapes, borders and so much more. If you aren’t a huge fan of paper, it’s okay! 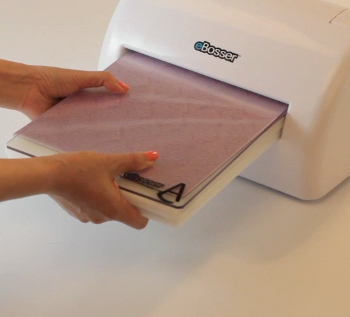 The eBosser cuts through fabric, leather, wood and even metal! Mixed media crafts, sewing projects and applique will never be the same with this die cut machine. Best of all, you don’t have to throw away your old dies. 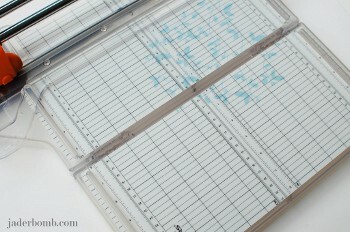 The eBosser is compatible with shapes from brands such as Sizzix, Spellbinders, Cuttlebug and more. No need to drop a ton of cash on new accessories – simply use what you have and get crafting right away. 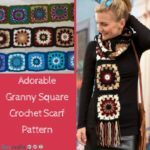 It’s exciting to buy a cool new craft product, but when it comes with a variety of other goodies, the excitement turns to elation. When you buy a Craftwell eBosser, you also received the following products: power adapter, instruction manual, embossing /cutting platform set, letter-size embossing folder, base platforms, shim and rubber embossing mat. 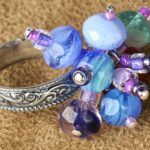 All of these accessories are essential to the die cut process and you’ll be so glad to have them on-hand. 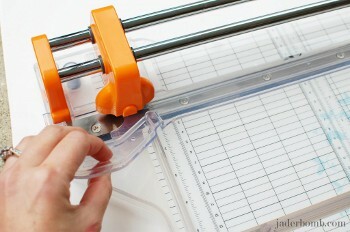 You can even take the eBosser with you to craft gatherings and classes. The handle makes it a portable product that’s easy to carry. 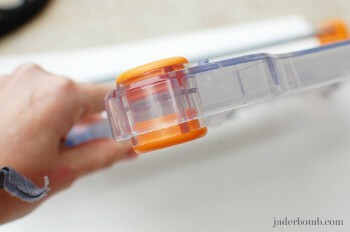 Also, it’s designed with safety in mind, so you don’t have to worry about turning on the the eBosser when the kids are around. What are you waiting for? Purchase a Craftwell eBosser Automatic Embosser & Die Cutter for yourself or give one as a gift this holiday season. What would you make with the Craftwell eBosser Automatic Embosser & Die Cutter? We’re giving away an amazing prize bundle from Silhouette and you won’t believe how easy it is to enter. The winner of this giveaway will receive a Silhouette CAMEO™, printable white sticker paper, printable gold foil, and printable silver foil! 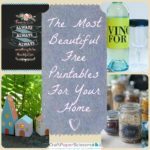 The paper and foil were just introduced this summer at the Craft and Hobby Association Summer Trade Show, so you’ll be one of the first people to take advantage of these amazing products. Set a trend and change the way you look at paper crafting! So here’s the most important part: you simply have to enter by heading over to our Facebook page and clicking “like.” No gimmicks, no hidden fees – that’s all you have to do. Before you know it, you’ll have amazing homemade stickers, labels and more made with your very own die cut machine from Silhouette! Good luck to everyone and we hope to see you on Facebook. 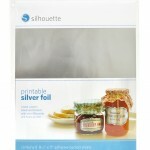 What would you make if you won this Silhouette CAMEO™ prize bundle? Your comment counts as your entry! Limit one comment per person. And don’t forget our rules below. One entry per person, to enter visit our Facebook page or make a comment on this blog post. Contest closes Friday, October 18, 2012 at 11:59p EDT. The winner will be posted on FaveCraftsBlog.com and notified by email. It’s hump day, which means we’re smack dab in the middle of a long (never-ending?) week. Need a little pick-me-up? We’ve got you covered with this amazing deal from Silhouette! By simply using the exclusive promo code FAVE, you can score a huge Silhouette bundle at an awesome price! 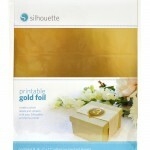 The bundle will be 1 Silhouette CAMEO™, 1 package of white sticker paper, 1 package of printable gold foil, and 1 package of printable silver foil for $269.99! That’s almost $57 in savings! If you already have a CAMEO, you can still save big with the FAVE promotional code. A bundle without the CAMEO is just $19.99. The products in this bundle are truly amazing. 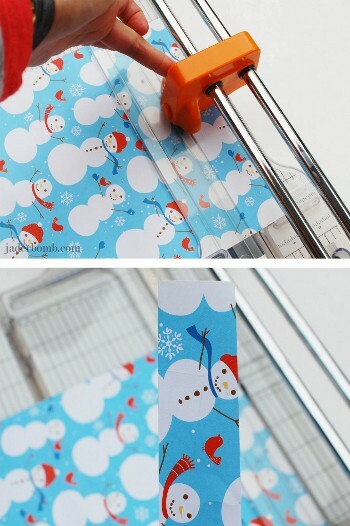 Use the printable gold and silver foil to create labels, stickers and more. Each package comes with eight 8.5″ X 11″ sheets of foil. The printable sticker paper is also great for making labels – who wouldn’t love their own address stickers for mail and packages? Like the foil, the sticker package includes eight 8.5″ X 11″ sheets. All of these products are brand new and were just recently introduced at the Craft and Hobby Associate Summer Show in Rosemont, IL. Who knew four little letter could be so important? 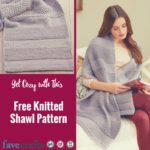 This promotion ends September 30th – don’t wait until it’s too late! Want to win this prize package? We’re giving away this prize bundle to one lucky winner! All you have to do is head over to the FaveCrafts page on Facebook and click the “like” button. Seriously, that’s it! 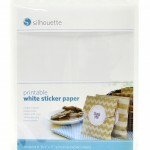 You can also enter by commenting on the blog post, “Click ‘Like’ & Enter to Win a Silhouette CAMEO™ Prize Bundle.” You only have until 10/18, so don’t wait until it’s too late! Win a Lifestyle Crafts Letterpress Combo Kit! 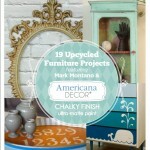 As an avid scrapbooker and paper crafter, I’m always looking for ways to spruce up my projects. I like giving dimension and depth to my scrapbook layouts and absolutely love the look of embossed stationary. So it’s no surprise that I was super excited when I heard about the new letterpress and die-cutting machine from Lifestyle Crafts. Let me just say that this machine has changed everything about the way I craft! 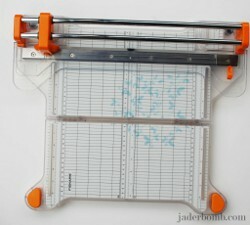 It’s so easy to use and I love being able to make my own embellishments and letterpress projects. Thankfully, AllFreeHolidayCrafts has teamed up with Lifestyle Crafts to give away a Letterpress Combo Kit, with Epic 6 Die Cutting Machine, a $170.00 value! This kit includes everything you could possibly need to die cut, emboss, and letterpress, including various platforms, cutting dies, printing plates, and much more! It will change everything about the way you craft with paper! With Valentine’s Day right around the corner, there’s no better time to jump into making handmade cards. With this Letterpress Combo Kit, you can add dimension and style to your handmade greeting cards, like this Fancy Flower Thank You Card. You can even make your own invitations for a wedding, baby shower, birthday party, or anniversary party. These Handmade Letterpress Wedding Invitations are simple and stunning, and so easy to make with the Letterpress Combo Kit. In order to get to cutting and embossing, visit the AllFreeHolidayCrafts Facebook page and “Like” us! That’s all it takes to be entered into this awesome contest! Entries must be in by February 5th, so head on over to Facebook before it’s too late! 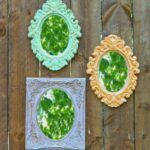 Cards and scrapbook embellishments are far from the only things you can make with this awesome giveaway from Lifestyle Crafts! The Letterpress Combo Kit is perfect for making all kinds of home décor items, like these Curly Whirly Christmas Trees. You can also wow trick-or-treaters with these Printable Halloween Treat Boxes! 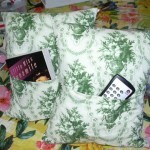 Fill them with candies or funny Halloween jokes and riddles. There are literally hundreds of ways you can use this Letterpress Combo Kit from Lifestyle Crafts, so be sure to “Like” us on Facebook today to win! eCraft Creations: Project Ideas for All Occasions—From Paper to Fabric is filled with tons of paper crafts, fabric crafts, and more…all using the eCraft machine. 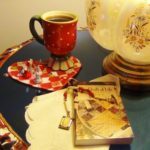 Inside this free eBook, you’ll find beautiful paper luminaries to help set the mood for your next dinner party, great ideas for teacher gifts, tons of cards, tee shirt patterns, pillows, and so much more! One of my favorite crafts in eCraft Creations: Project Ideas for All Occasions is this stunning Vibrant Paper Wreath. It makes me long for spring! Plus, these flowers would look great on almost anything, including frames, scrapbooks, and even hair accessories! 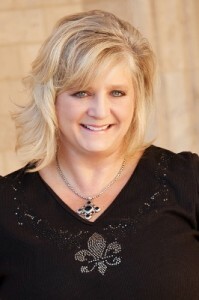 That’s the great thing about this eBook from Craftwell…it’s filled with inspirational ideas. As I was reading through it, I was inspired to create all kinds of things using my eCraft machine. I may never have to buy a gift again! This revolutionary die cut machine is doing wonders for crafters of all mediums…improving everything from paper crafts to fabric crafts, helping everyone from card designers to dress designers. This die cutting machine has already improved the lives of thousands of crafty people…so if you don’t have one, you better run out and grab one soon! If you’re interested in exploring all the awesome crafts you can make with the eCraft die cutting machine, download eCraft Creations: Project Ideas for All Occasions for free today! Did Santa bring you an eCraft machine this year? What projects are you excited to try?